Gain extensive training and education for early childhood teaching certification, with a focus on shaping young learners. Our fully accredited programs for initial certification prepare exemplary teachers who inspire learners and build communities. The Master of Arts in Teaching (MAT) degree is specifically designed for students without teaching licensure. This program consists of a core of courses that all degree candidates will complete, plus various specialization courses to meet state certification requirements in a particular discipline. There is an immersion option that will allow a cohort of full-time students to complete the program in one academic year beginning and ending with a summer session. Students who are employed full time may begin the program on a part-time basis beginning in the summer or spring. 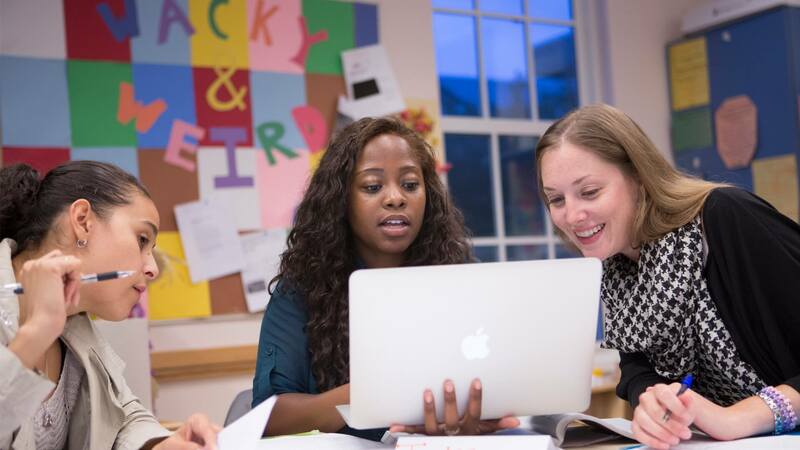 The Master of Arts in Teaching (MAT) Early Childhood Education program is available to eligible graduates of Princeton Center Teacher Education (PCTE). Both Matriculation and Non-Matriculation options are available. Learn more about these options. National standardized admission test requirement. See also exceptions for this requirement.